VICTORIA, BC – It’s been almost 20 years, but the wait is over for hockey fans on Vancouver Island. 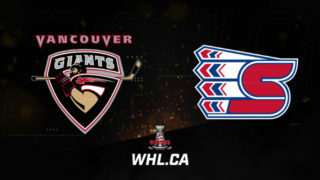 The WHL will return to the City of Victoria next season, the Western Hockey League and RG Properties Ltd. announced today. The WHL Board of Governors has approved the sale of the WHL franchise in Chilliwack and its relocation to Victoria effective starting with the 2011-12 season. Graham Lee, whose company RG Properties developed, built and operates the 7,000-seat Save-On-Foods Memorial Centre in Victoria, has purchased the franchise and will move the WHL franchise to the B.C. capital for the start of next season. 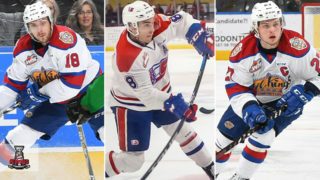 The WHL is the premier junior hockey development league in the country and had more players drafted in the 2010 NHL Entry Draft than any other League in the world, with 43 players selected in all and seven selected in the first round. The B.C. capital was home to a WHL franchise for 23 seasons from 1971 to 1994. During that period, Victoria’s WHL teams produced over 50 NHL players including well-known stars such as Geoff and Russ Courtnall, Grant Fuhr, Mel Bridgeman and Greg Adams, just to name a few. The WHL Victoria Cougars franchise was relocated to Prince George in 1994. 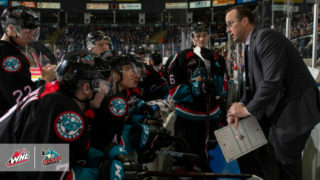 “It’s going to be great to see local kids in WHL uniforms on the Island! I think we’ll see bigger crowds, there is more of a local appetite for this brand of hockey. That should also give a boost to local businesses to get behind the team,” said John Tinker, President and Owner of Big Stake Ventures and Victoria Keg Steakhouses. 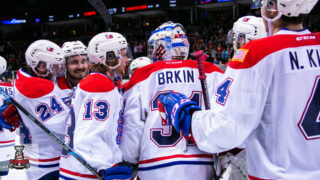 Western Hockey League (WHL) is the largest major junior hockey league in the world today with 22 member Clubs throughout Western Canada and the U.S. Pacific Northwest. The WHL attracts over 4 million spectators each season to regular season and playoff games and is a world leader in player development and scholarship opportunities. Each season the WHL is one of the top leagues from which players are selected from in the NHL Entry Draft. Currently over 20% of all NHL players are graduates of the WHL. 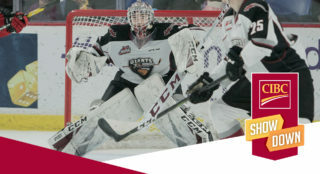 The WHL is also a leading provider of post-secondary scholarships with over 400 scholarships awarded each year to current and graduate WHL players, more than any other league in North America. 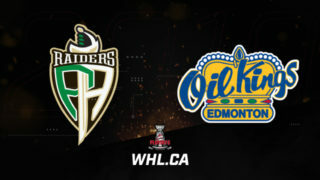 The WHL is a member of the Canadian Hockey League (together with the Ontario Hockey League and Quebec Major Junior Hockey League) which consists of 60 member clubs from coast to coast in Canada and the northern United States. RG Properties Ltd. is a diversified real estate development company with hotel and arena developments and operations, shopping centre holdings, industrial property holdings, residential developments and community rink developments and operations through its Planet Ice brand. It also owns and operates Boomers Sports Grills, Mission Fitness, Selectyourtickets.com and Officepools.com, the world’s largest online hockey pool management provider.